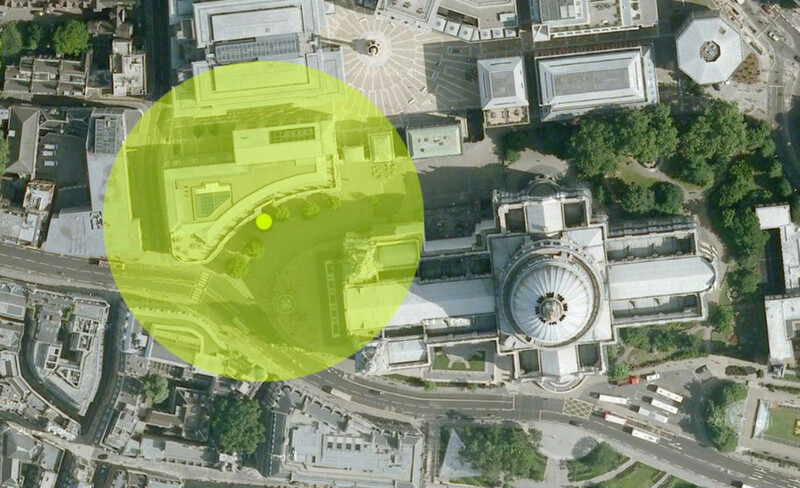 In the fall of 2011 the Occupy movement protested at St. Pauls London. 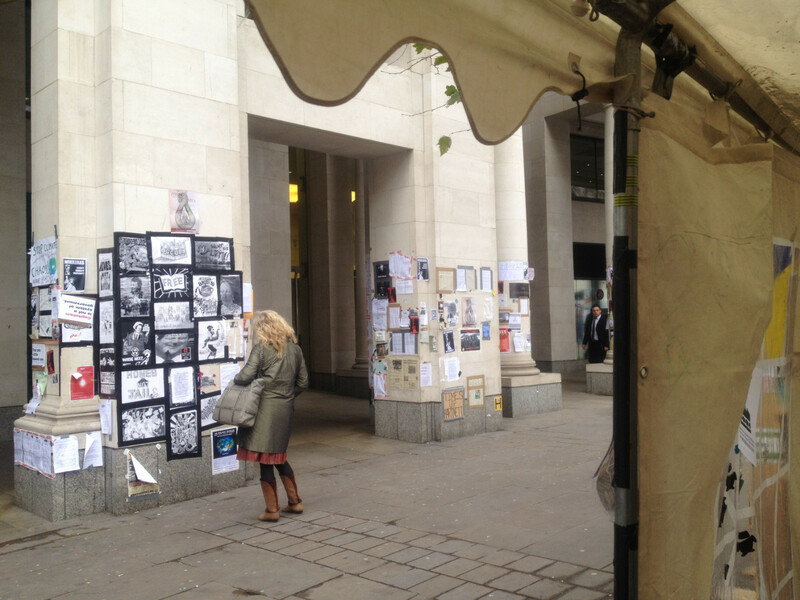 Protestors and various other social groups used the pillars of the Juxon House, next to the Paternoster Square, to stuck posters, articles and bits of information all over the pillars. The place became a public library and an inviting social space for conversations and meetings during these intense weeks. 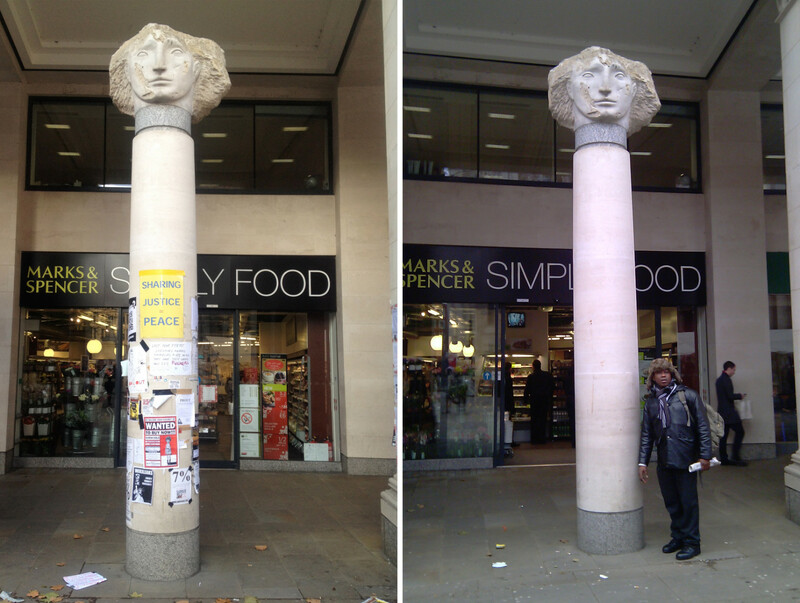 In 2011, the government took all posters and other information off the pillars – and "cleaned" the place. Occupy! A Public Library Archive is a documentation of every square inch of the pillars of the Juxon House. All the documented information is copied to read only USB-sticks. 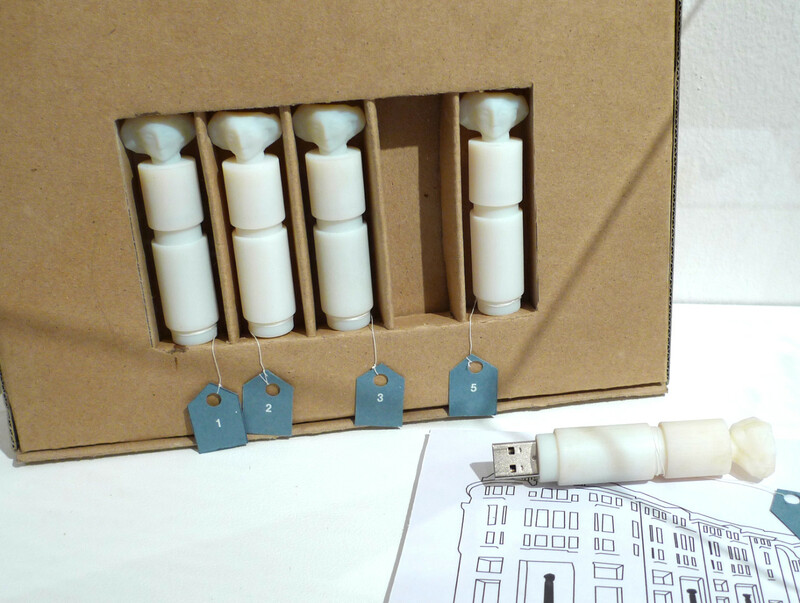 The USB-stick casing is designed as a scaled down replica of the original pillars, complete with the Grecian head which is found on top of 5 of the pillars at Juxon House. To keep up the information accessible on site, we developed a device to provide a wifi access point which is hosting the rescued information in form of a local website on site. Equipped with a solar powered battery, an embedded linux board and a WIFI usb dongle, the system is capable to run autonomous.